Kimberly Smith is a personal power coach and one of the most sought-after experts on empowering women to building self-esteem and realizing their personal power. Kimberly is blessed with many talents. She has spent a great deal of time interacting with individuals of all walks of life and influencing their path to personal and professional success. Kimberly is also a licensed real estate agent as well as a licensed peace officer. Kimberly Smith, motivational speaker and personal power expert, is one of the most sought-after experts on conquering grief, building self-motivation, and realizing your personal power. 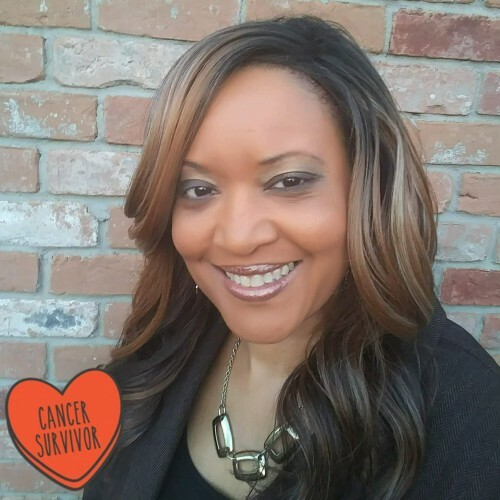 She is an inspirational keynote speaker, licensed real estate agent, and graduate of the University of Houston's Police Academy and she is a Cancer Survivor. For Kimberly, life hasn't always been a crystal stair, but she has forever remained a strong woman. From being a successful real estate agent to losing everything due to a suffering economy, this was followed by the death of her husband of 18 years who left behind his three children, which included his first and only son, who at the time just turned 2 years old. With prayer and patience, Kimberly's stairway to success has begun to shine crystal clear again. Kimberly helps individuals increase confidence and use personal power to combat issues that she once suffered from as well such as, denial, defeat, and depression. Kimberly's goal for others is quite simple; with strength, you will persevere through any troubling issue. Since graduating from the University of Houston's Police Academy, and becoming a peace officer, Kimberly is well trained in talking to others about drug abuse, alcoholism, and most importantly inspiring today's juveniles. She is a phenomenally strong woman, who lifts and empowers women as well as men alike. Once hearing Kimberly's testimony, it's no question to why so many people admire her strength. Grief - "There is nothing you can't Overcome"